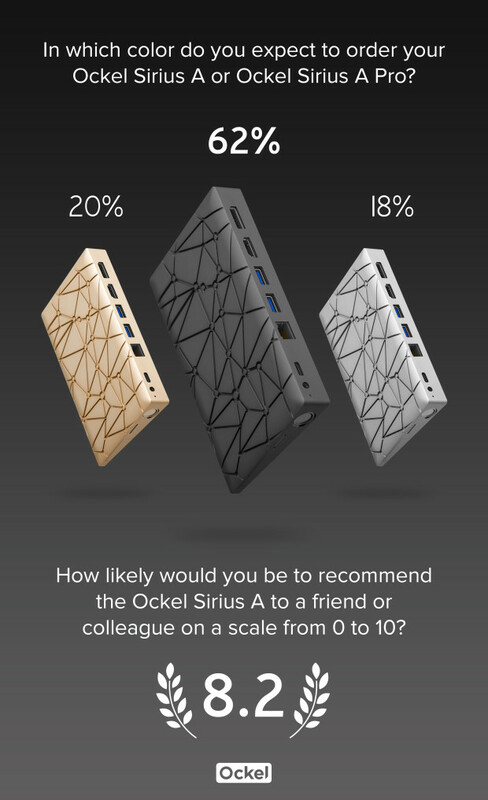 We were blown away by the amazing response of the Ockel Sirius A Survey. Until today more than 300 backers filled-out our Sirius A Backer Survey 2.0. We have gathered useful input from all of you and will obviously use the feedback during the upcoming decision making phases of the Ockel Sirius A (and accessories) production. We would like to highlight two supercool results. The Meteor Grey version of the Ockel Sirius A and Sirius A Pro has been found to be the most popular color. We were also very satisfied with the recommendation score of 8.2. It’s a wonderful score and we cannot wait to see how high the scores will be once you actually got your hands on your Ockel Sirius A or Sirius A Pro!